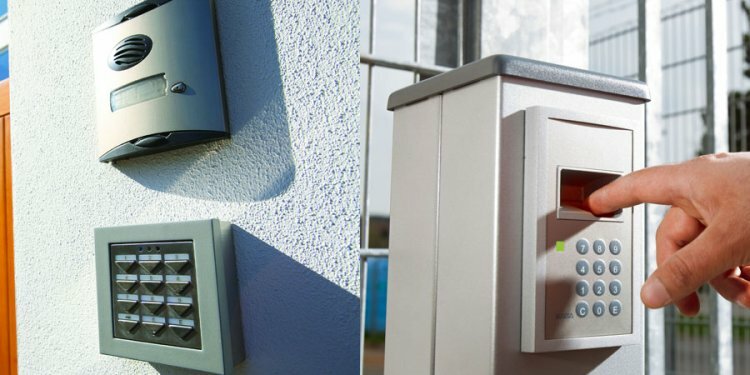 Access control systems are a common high security option for many residential spaces whether it’s a large apartment complex or an expansive gated community. At Hosse and Hosse, we work with all types of access control systems ranging from security gate systems to stand alone access control. Depending on what your residential community needs, Hosse and Hosse can provide you with information, products, and services to help you understand the best fit for you. Typically gates and doors may be accessed with PIN (personal information number) codes or a smart card and can help maintain functional security of your space in a simple and uniform way. Many complexes and neighborhoods require different gates and doors, and Hosse and Hosse has experience working with a plethora of brands and options. In residential spaces, pedestrian and vehicle gates are typically necessary to control traffic and maintain the privacy and security of a community. Hosse and Hosse can assist you in utilizing pedestrian and vehicle gate control systems to improve the functionality of your residential community. In a stand alone access control system, all of the control electronics are characteristically in the keypad or reader, allowing a simple and efficient way to maintain security. Using stand alone access control systems can often be a cost-efficient way to monitor building access for residents, and Hosse and Hosse can guide you through the process of installing and servicing these systems. Wireless access control systems are becoming increasingly more useful and efficient in running the security of residential spaces. Wireless systems can allow lock control from a remote location and are quite useful in maintaining the security of a large number or residential units from another location. HID cards are an important facet of an access control system, using radio frequencies and a microprocessor, which is enclosed inside of an ID card. When in close contact with an HID card reader, they can be read and verified. FOBs are a hardware device with built in mechanisms that allow for authentication for security. Similar to HID Cards and smart cards, a FOB contains two-factor authentication, meaning you need the actual FOB itself as well as a PIN to gain access. PIN Codes are simply personal identification numbers needed for many access control systems. Typically these numbers are 4 to 5 digits in length and must be memorized by the user. These are often used in conjunction with a pedestrian or vehicle gate in order to gain access to a private residential area.